helped start WSM, arguably one of the nation's greatest radio stations, and in 1950, he and WSM put Nashville's first television station on the air. 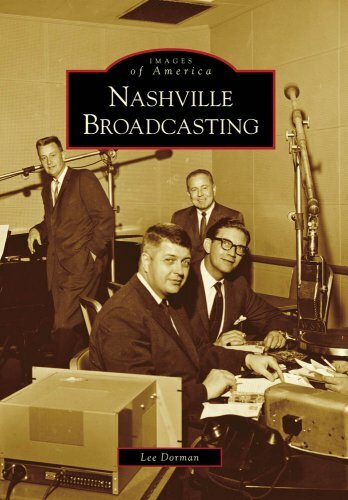 Over the years, Nashville has had its share of local radio personalities, such as Noel Ball, Coyote McCloud, and Gerry House, as well as television personalities like Jud Collins, Bill Jay, and Larry Munson. Nationally recognized stars such as Dinah Shore, Oprah Winfrey, Pat Sajak, and Pat Boone started their careers in Nashville as well. Here are the stories and images of the people heard on transistor radios and the programs--including Five O'Clock Hop, Ruffin' Reddy, and The Mickey Mouse Club--watched by children while they did their homework.